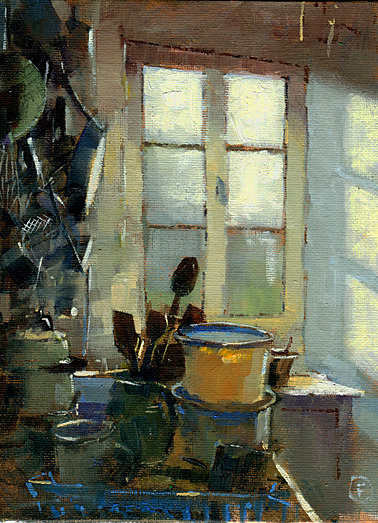 My neighbour Camille's wonderfully cluttered little kitchen with the morning sunlight streaming in through the window. 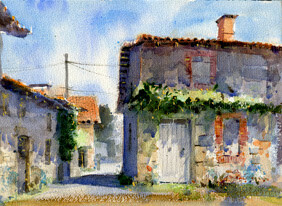 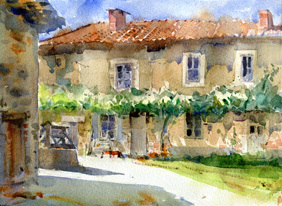 Three watercolours today painted en plein air in two villages near to where I live. 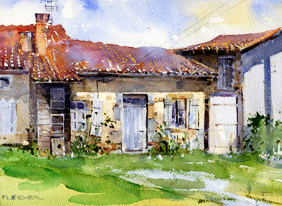 All still lived in and the first has old rabbit hutches to the left of the building.